Wreckage of the plane carrying the missing Cardiff City footballer was discovered in the English Channel. Emiliano Sala’s father has described his anguish and disbelief after wreckage of the plane carrying the missing Premier League footballer was found nearly two weeks after it disappeared. The 28-year-old Argentinian footballer’s father, Horacio Sala, was speaking after a search boat located the wreckage on the seabed of the English Channel on Sunday morning. “I cannot believe it. This is a dream. A bad dream. I am desperate,” Mr Sala told Argentinian broadcaster Cronica TV. The Piper Malibu aircraft, which was heading from the French city of Nantes to Cardiff, vanished from radars close to the Channel Islands on 21 January. Both Sala and pilot David Ibbotson, 59, are missing presumed dead. 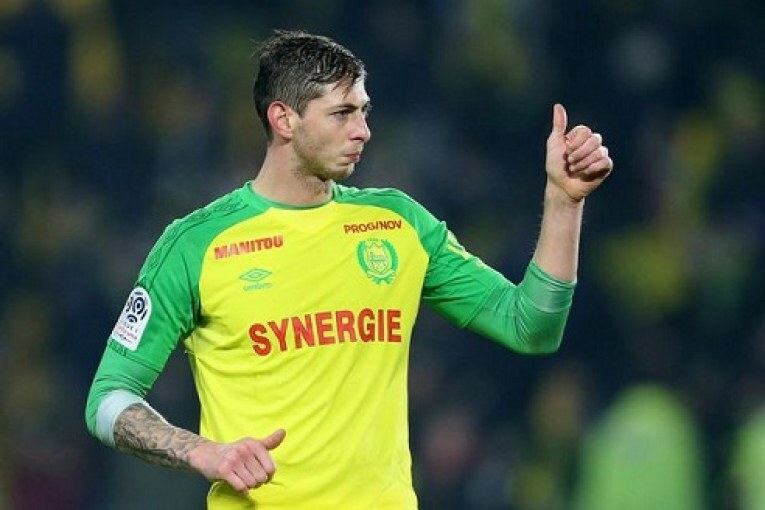 Sala had just completed a £15m transfer to Cardiff City from French club Nantes. Two vessels were looking for traces of the missing plane after a successful online appeal to fund the effort. Shipwreck hunter David Mearns led the private search that was looking for the aircraft in an area of four square miles. He told Sky News: “This is about the best result we could have hoped for the families. Mr Mearns later tweeted “our sole thoughts are with the families and friends of Emiliano and David”, adding that the AAIB would be making a statement on Monday. Earlier on Sunday, Mr Mearns said the AAIB had a “high confidence level” the plane would be in the search zone. It has been an anxious and heartbreaking time for the Argentinian striker’s family since his aircraft disappeared. Sky News correspondent Tom Parmenter, who is in Guernsey in the Channel Islands, said: “It was early in the morning at about 9am, the very early stages of the search that had got under way at first light this morning… that they saw something with the sonar equipment that they had on board. “They carried out further passes over that area to pinpoint and have a closer look. The official hunt for the plane was called off on 24 January just three days after the plane went missing, but the search resumed on Monday 28 January thanks to a crowdfunding appeal. Guernsey’s harbour master Captain David Barker said the chances of survival following such a long period were “extremely remote”. The aircraft was located four days after two seat cushions were found that were likely to have come from the plane.